Have you ever thought about how often we are exposed to letters and words every day? Type can be with illustrations, photographs, or even become art on its own. A certain font chosen for the logo of a company can become it’s very identity. Letters spelling a child’s name on their precious stuffed toy makes it all the more special. A typographer (a designer who specializes in creating and arranging type) has the magical powers to STOP you in your tracks with LARGE, BOLD, and CAPITALIZED letters on billboards hanging on a brick building. Or they want you to float on the cloud of imagination while you read a book without the interruption of loud type. 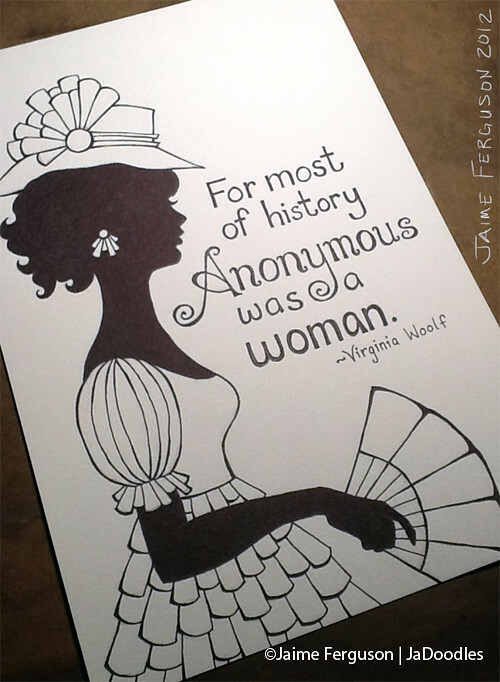 Example of hand lettering working with an illustration. Many of the fonts we are exposed to may be seen in a digital format or have been printed from a computer, but almost all typefaces have been hand drawn one time or another in the beginning. Currently, hand lettering posters, t-shirts, greeting cards, etc. has become very popular. If you are a lover of words and art, take some time and cover a sheet of paper in words or letters that make you smile. Try to make each word or letter look different from your last and you may want to change to different colored pens or pencils. You don’t necessarily have to be able to read it in the end, but we challenge you to completely cover the sheet in letter forms. To further embrace the opportunity to create your very own hand lettered coffee mug, please join us at the Decoy Art Studio for a 21 & up pottery painting workshop called “Lettering/Type Coffee Mug” on Tuesday, January 12th from 6:30 pm-8:30 pm. What? You are not a typographer? You do not have to be a designer to experience letter forms. So have no fear! 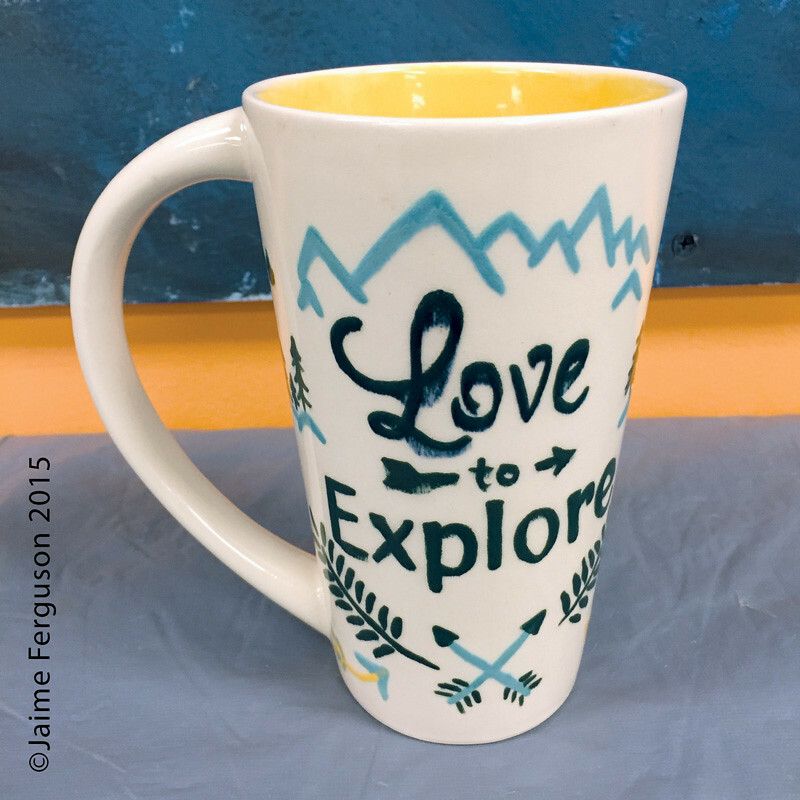 We will have carbon paper to help trace the words onto the mug, and our instructor will take you step-by-step through the process of creating the cup pictured in this blog post. If you so choose to alter the artist’s design, it is completely up to you! It is going to be your very own piece of practical art to take home and enjoy. 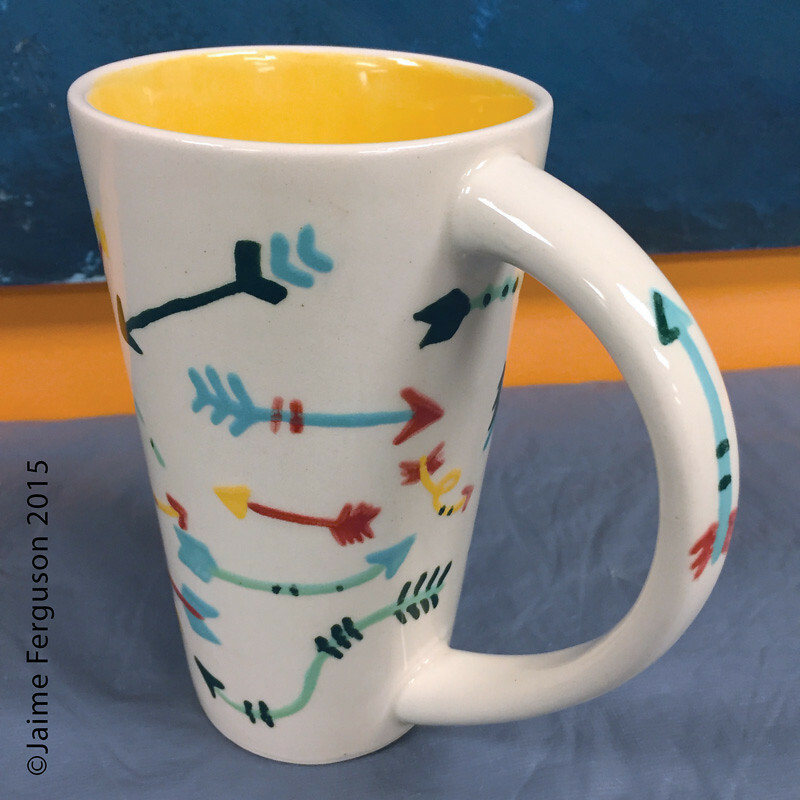 If you would love to learn how to create this wonderful mug on Tuesday, January 12th, 2016, please sign up for the pottery workshop at Decoy Art Studio in Beavercreek, Ohio! 3. Visit the studio at 1561 Grange Hall Rd., Beavercreek, Ohio.